The new HD kharkov should return in patch 1.5. Yesterday WG released a flyby video and an image of the mini map. The field looks interesting but the city fight is going to be a **** IMO! Edited by XxKuzkina_MatxX, 08 April 2019 - 06:22 AM. To create more opportunities for different classes. Because the developers think if the map is too close to reality, it doesn't make for a good game play! ^ This is horseradish, i don't have a clue BUT the new one looks interesting! I didn't mind the old map really . The old one was a meh for me but this looks more promising. So they are bringing Kharkiv back but not Windstorm? All the HD maps are worse than their SD counterparts. Why this remade Kharkov should be any different?! Ughhhh. It seems the new Charkov has become a new "heavies go here", "mediums go there" and "TD you can sit on b8 and g8". Edited by Anymn, 08 April 2019 - 10:06 AM. Gonna stick to that small city area 100% time. 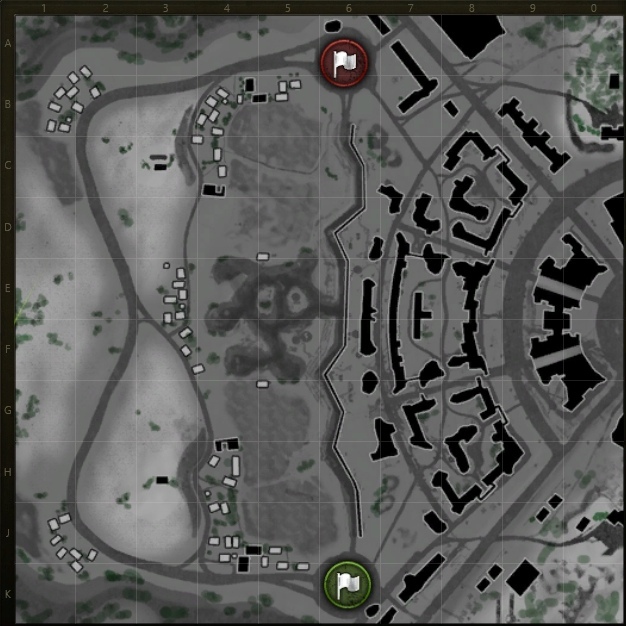 The old map was mostly fine. But it caused some odd lemming fails like Emperor's border is currently doing. As shown on the old heat map of it. The circle area they changed a few times to fix it. But it only made it slower IMO. Same with the field. It was benefiting South defending more vs when South pushed around the corner and up North. As they did not have the same easy TD overwatch spots they did, nor did many camp in that area vs South. As they did mention when removing it. So I'm curious to see how the new field is. Or if it will be like Ghost Town's new field that everyone will avoid. When is it coming back, and have they removed rubble piles to hide TD's behind? Also known as arty/td blindshot magnets. I liked Kharkov. Bring back Windstorm too !!! !